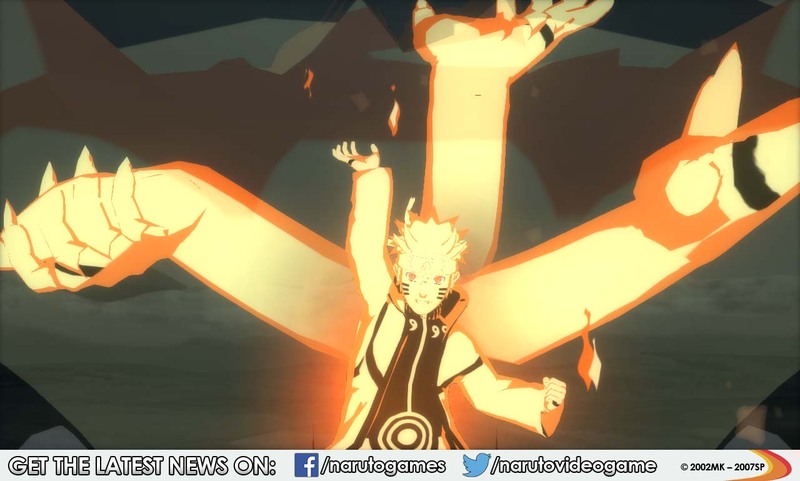 Naruto Uzumaki is back once again in Naruto Shippuden: Ultimate Ninja Storm Revolution (which I will now abbreviate to Naruto SUNS Revolution), the follow up from Naruto SUNS 3 Full Burst. Will it be a bigger hit than a Tailed Beast Bomb? Or will it feel like they are all out of chakra and need to take a break? Although this is not a direct sequel from Bandai Namco Games as the story doesn’t carry on, instead this newest title aims to provide a new platform for fans to experience a whole host of characters. 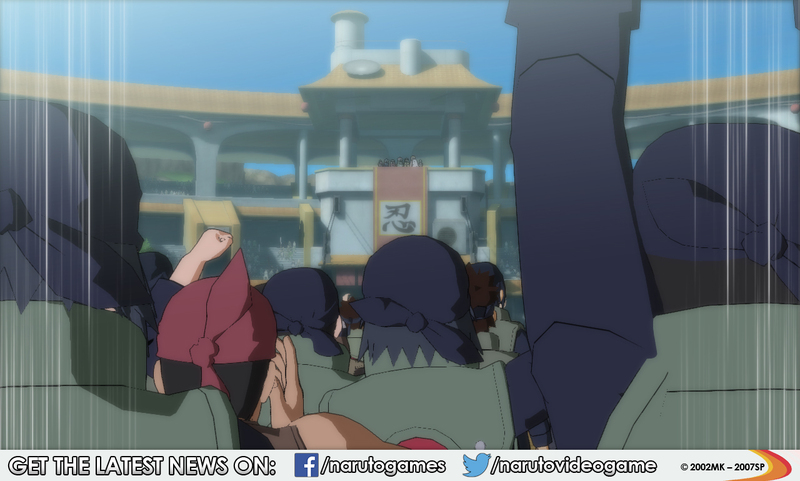 The focal point for this is the Ninja World Tournament, a brand new mode this time round which will test your skills in a more ways than usual. Once you’ve chosen your fighter for the Ninja World Tournament mode it’s not just a case of entering the tournament, bossing it and being crowned the champion of the world. They’ve included a free-roam type area to navigate with various places to visit such as shops, lottery vendors and people to talk to. Each area is quite small and until you complete each grade of the tournament you’ll not unlock any more areas. In order to participate you need a team mate or two as the battles can consist of more than one round. To start with you may well not have many fighters to choose from, but by scouring the area there will be others that can be convinced to help you after you’ve helped them in a task. Although it’s almost a necessity to find partners, unless you can make do with the starter characters, I found the whole free-roam quite restricting, tedious and could happily jump straight into the tournament with both feet. The Ninja World Tournaments are graded from D to S+ and you can’t skip immediately to the most difficult. For me, that isn’t a bad thing as my fighting skills are rather limited, in fact I was completely lost at first… I’ll come back to that though. Anyway, the aim is to take on other teams across a set amount of 50 second rounds to earn the most orbs from pulverising opponents in order to drop them. Despite being in teams, each team will actually be separated to fight individually in a four way and then all their orb totals get added together. Considering the short amount of time in each round, it’s over before you know it and with four players all vying for orbs it gets pretty messy trying to chain attacks. There’s more chaos added as you climb through the grades with the inclusion of things like rails to perform damaging moves off and creatures carrying orbs that enhance your fighting abilities. In short it’s a cool gimmick but there’s not enough here to be the main mode of the game and having to see the intro each time you go back in to do the next grade is an unnecessary waste of time. Fortunately this is where the Mecha-Naruto side story comes into play; once it’s available it incorporates the Ninja World Tournament whilst also telling the tale of its purpose. This game exclusive character created by Masashi Kishimoto, has a rather unique personality and a dark side you wouldn’t like to see. If you cut out all the running (or slow walking in most cases) around the Hidden Leaf Village, the story itself is decent and obviously fresh which is good to see. As a mechanical version of Naruto, is there room for the two of them? Only time will tell, either way it’s a very exciting new character to use in battles even outside the story. As I’m still a newcomer to the Naruto series, everything I know comes from the games that I’ve played; I welcomed the last major offline mode with open arms. Ninja Escapades tells a couple of anime stories with a little bit of gameplay shoehorned in. These cover the creation of the criminal organisation Akatsuki, the background of Itachi & Shisui and the early years of Kakashi, Obito and Rin. The battles were enjoyable as they encouraged the use of characters I may not have tried yet but it was the stories that made it worthwhile. A few heart-warming moments in some really well made anime that make it easy to sit back, relax and let it all sink in. Now for the not so interesting modes, which isn’t to say they aren’t interesting for others but Online Battle and Free Battle don’t have enough substance for me. Both have the options for Tournaments, mini-leagues and then the online side has winner stays on whereas offline has Survival. If you’ve got friends round then it will accommodate up to eight players locally. Online is the place to test your skills, or should I say test how you do against Jutsu spammers who just want to do the same ability over and over. The saving grace for the most part of Naruto SUNS Revolution is the massive roster of characters to use as fighters or even support on a team. 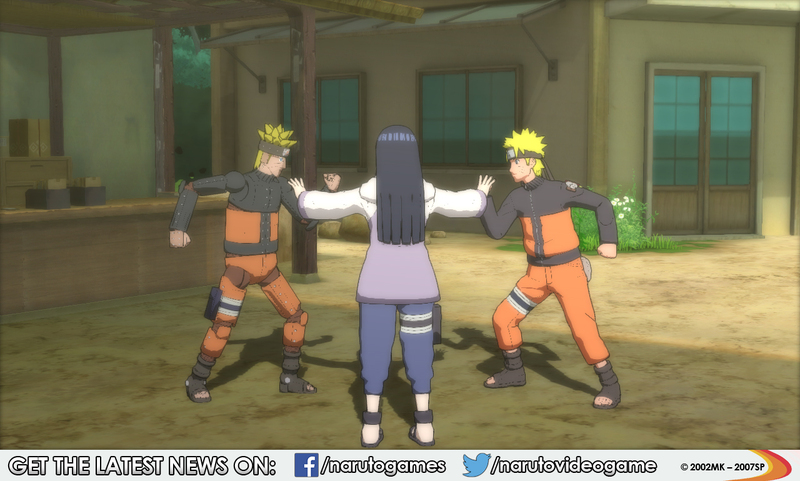 Each fighter can be played with a choice of one of three different style types; Ultimate Jutsu, Awakening and Drive. Whether I was using Obito, Sasori, Naruto it didn’t matter to me in the average free battle mode so long as I triggered their Ultimate Jutsu which generally looks to be a spectacular finishing move and most importantly easy to pull off. 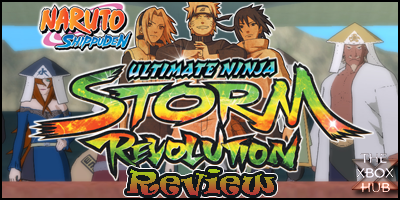 With my liking for the Naruto stories told in previous games, I felt Naruto SUNS Revolution did manage to deliver a little bit of what I expected, mainly during the Mech-Naruto and Ninja Escapades. Sadly the rest didn’t, you can have all the characters you want when you can’t use them in anything worthwhile the novelty soon wears off. Making Ninja World Tournament mode the focal point given how the most fun you could have was over in mere minutes and then having to re-load it back up was a real shame. Considering how I wasn’t drawn back to it at any point and it did suffer from many game partial freezes when a lot was going on in a battle, there’s no way I could recommend you go out and buy it today, I’d say if you’re a fan wanting to try out certain characters then just try and borrow it. Failing that, pick it up after it’s had a price cut.